True confession: I’m a chips and salsa addict. While I eat healthy most of the time, give me a bag of tortilla chips (make them the lime ones and I’ll be your bff) and some salsa and I can’t stop myself from wanting to down the whole thing. There’s no shame in chip eating and salsa game. Y’all, this stuff is so good on just about everything. 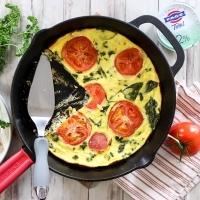 I eat it plain with chips, add it atop my morning eggs, drizzle on nourish or buddha bowls and add to my tacos. It’s GOOD! 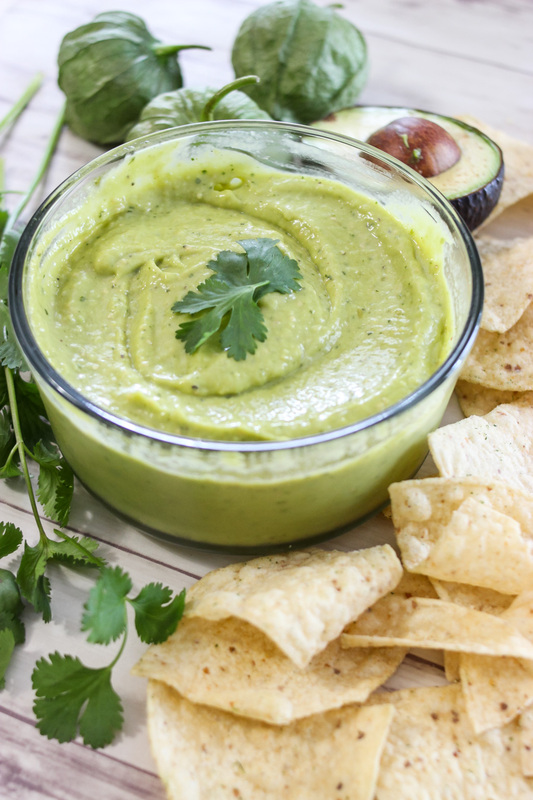 This recipe combines the goodness of creamy avocado with the deliciousness of savory and bright tomatillos and an added kick of spice with seasonings and jalapeños. 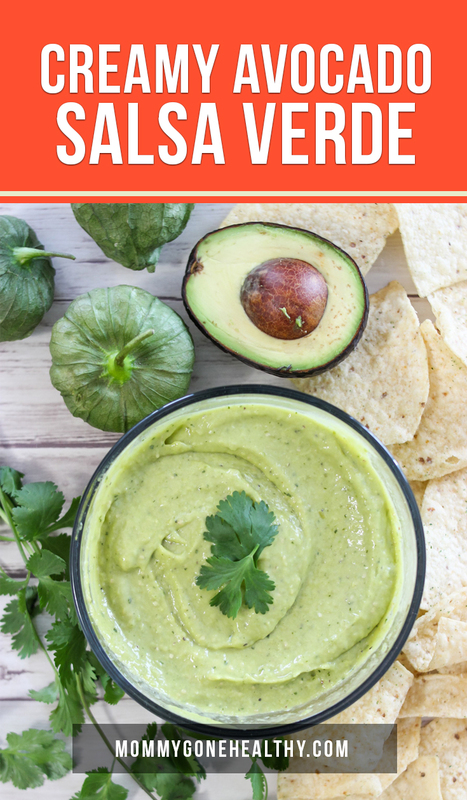 The great thing about this recipe is that is so easy to make (especially with the help of my Vitamix) and it can be varied depending on how spicy you like it. Full of simple, clean ingredients, this salsa is about to be the hit at all your summer parties. Bring water to boil and add tomatillos. Boil for 4-5 to minutes. Remove from water. 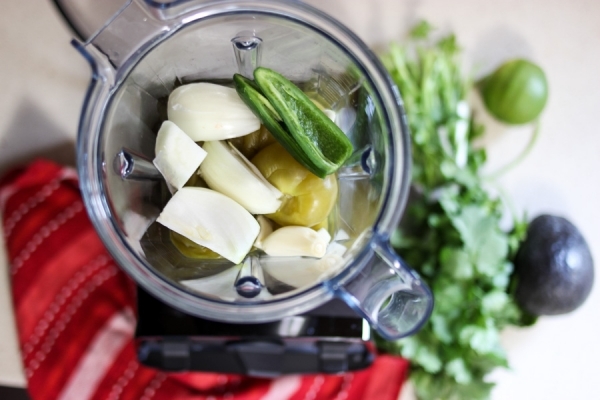 Add tomatillos, garlic, onion and jalapeno to blender and blend until sauce is smooth and pureed. 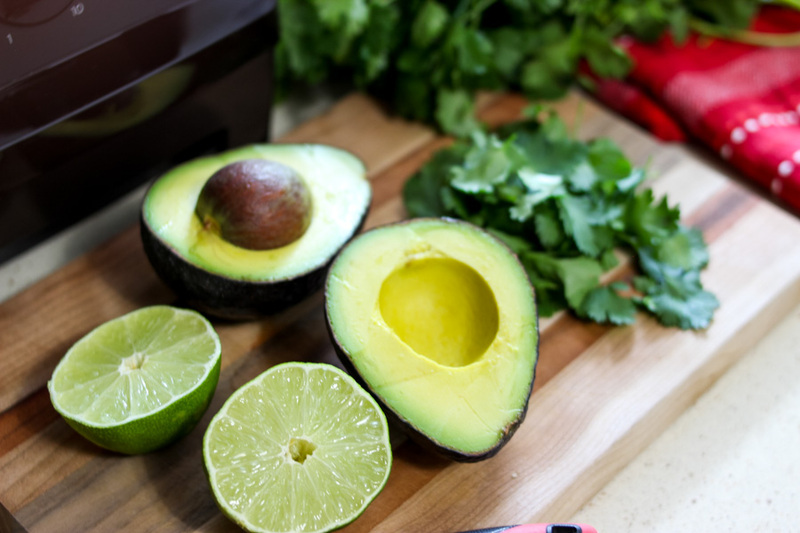 Add lime juice, all seasonings and avocado and pulse several times. 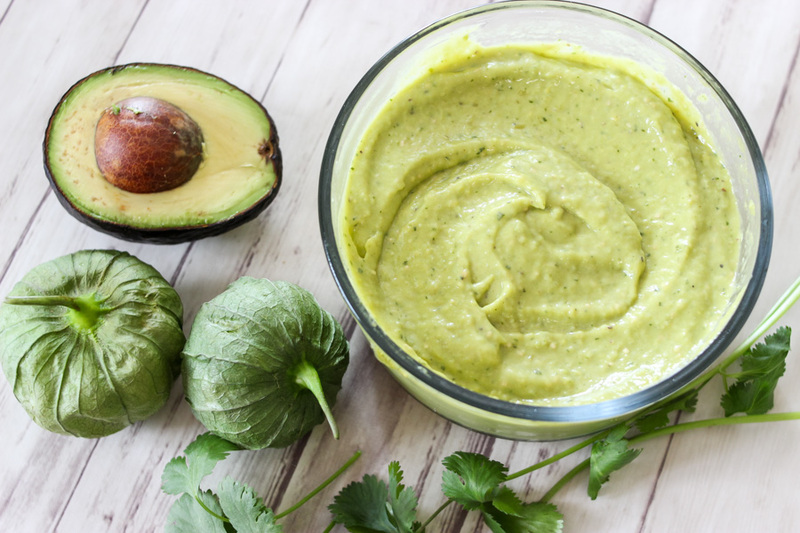 If you prefer a smooth verde salsa, blend more. If a more chunky salsa is desired, pulse once or twice. Chill for several hours. 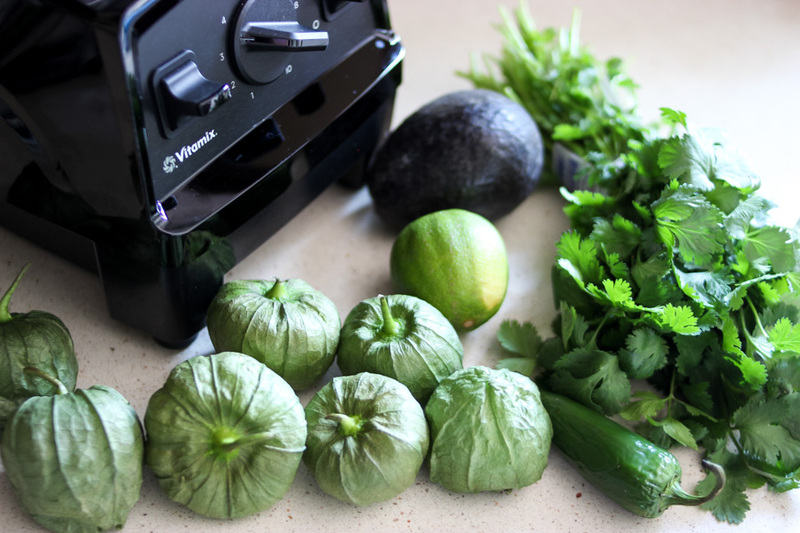 Note: Tomatillos don't have to be boiled, but I find that it yields a richer flavor. They can be used raw for a brighter and tangier salsa. Now that I have your mouths watering, let’s chat about the amazingness of my new Vitamix E310 Explorian Series Blender. 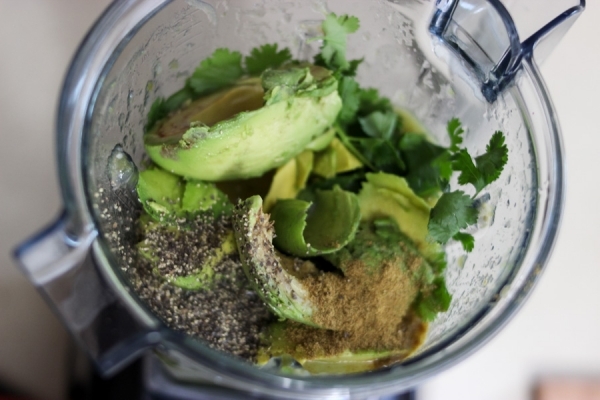 This blender does it all and the powerful 2HP motor can handle even the toughest ingredients to ensure that you have perfectly blended meals every time. What I love the most about Vitamix blenders is how truly versatile they are. When most think of blenders, smoothies are the number one meal that we use them for. The pulse feature is perfect for allowing you to vary the consistency of your creations. 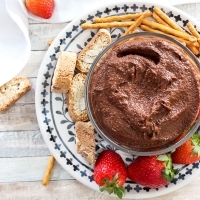 A few pulses can yield a chunky salsa while blending for longer and more consistent periods make a creamy, pureed dip. 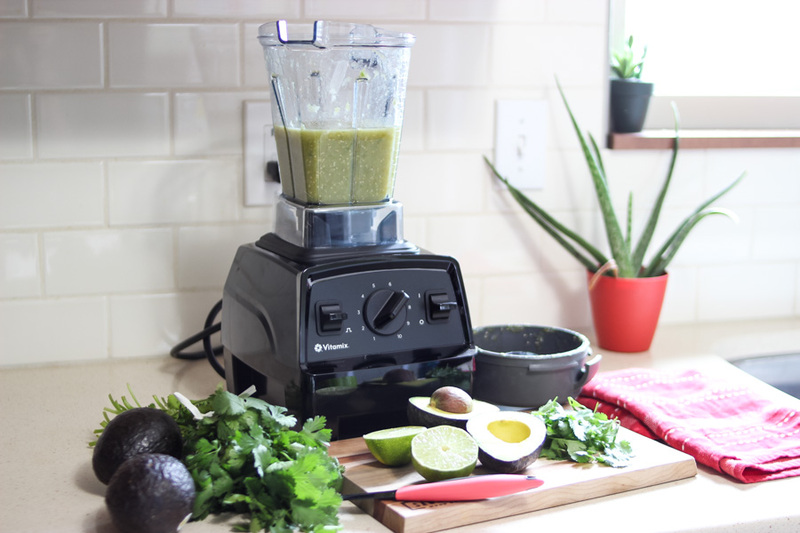 While Vitamix may be pricier than other blenders, the quality is so much better and the full 5 year warranty brings piece of mind (covers all parts, performance, labor, and two-way shipping at no cost to you). I can’t tell you how many blenders in the past that I’ve purchased to only have their motors burn out within 3 months. 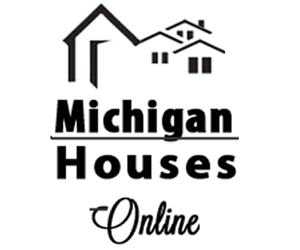 When it comes to kitchen gadgets and tools, I’m a firm believer that you get what you pay for. Vitamix can be purchased at Amazon, Williams-Sonoma, and so many more stores. 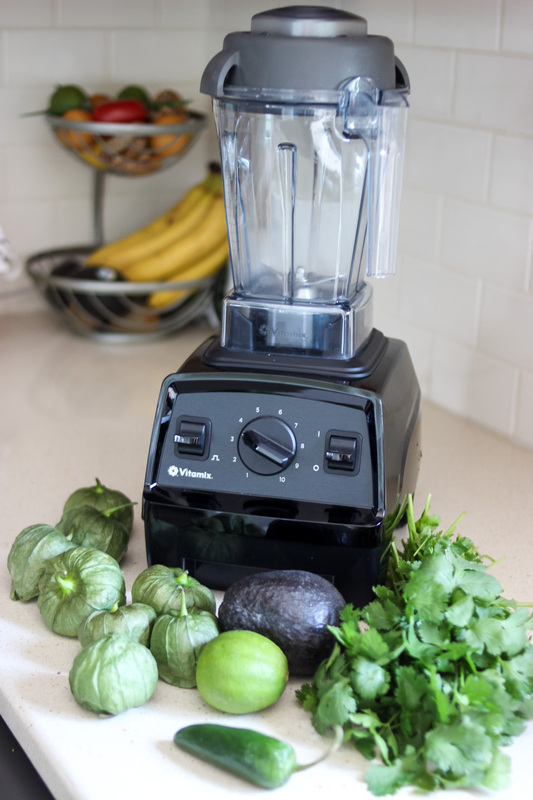 To find the Vitamix E310 Explorian Series Blender in your area, visit this link for the full list of locations. Ok. Every Single Ingredient is one I love! pinned for later!!! I see nothing not to love here. Yum! 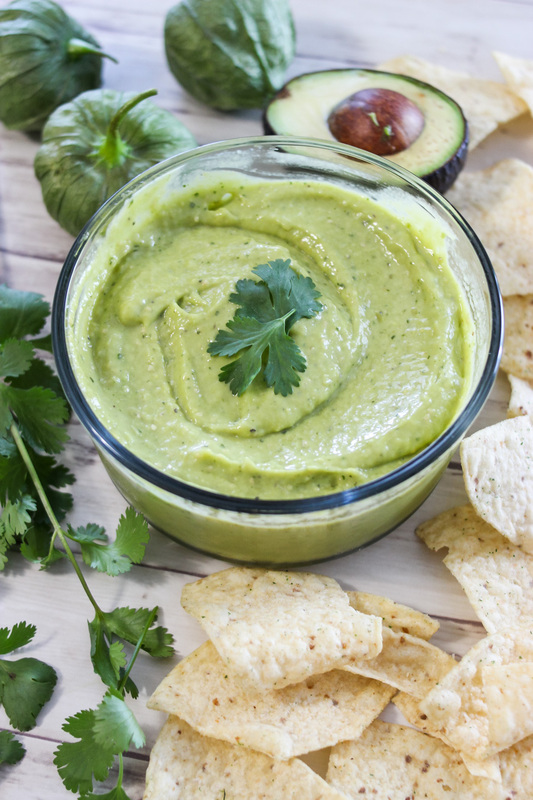 2) I love salsa verde even more! 3) This is a recipe I would definitely love to try. 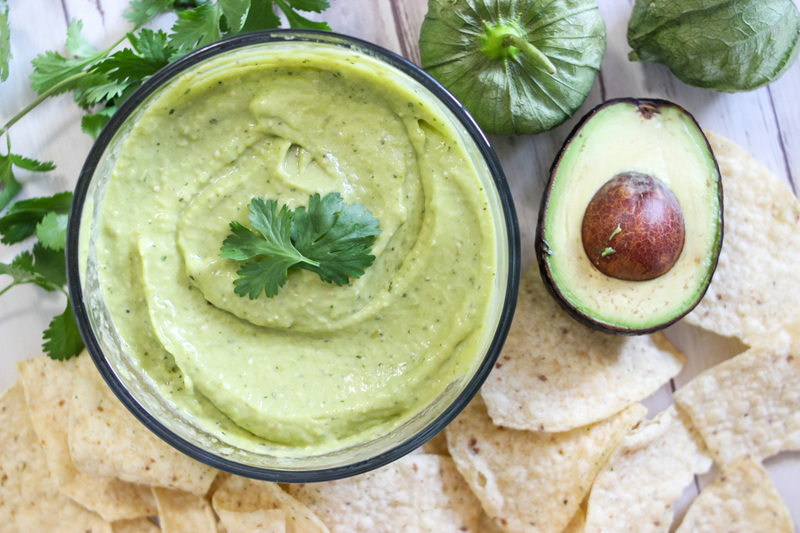 I’m actually not a fan of avocado, but this recipe seems like I’d love it anyway. It looks delicious! This looks so yummy, I have to try it. I got my Vitamix for Christmas last year. I love making frozen smoothies in mine. It has this option which makes making smoothies from frozen berries so much easier!